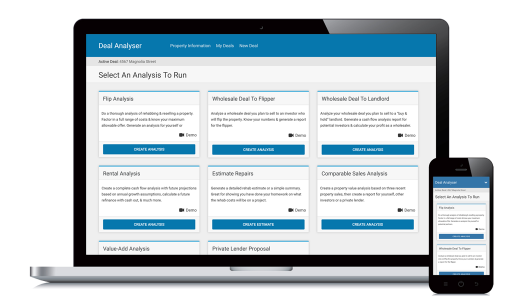 Within the Deal Analyzer software is a Private Lender Proposal Calculator which allows you to create an attractive report detailing your investment opportunity allowing you to attract lenders & secure funding for your deals faster & easier. Secure funding for your deals faster & easier. Extensive reporting abilities allow you to calculate all the key numbers potential lenders are interested in.